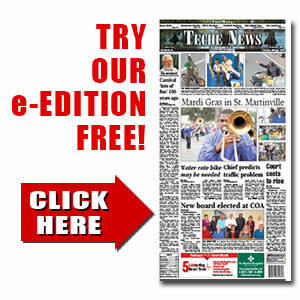 BB-SM tangle Friday in District 5-AAAA opener Improving ’Dogs visit Abbeville | TecheToday.com | Teche News | St. Martinville, La. And the top match up of the opening round will be the showdown between parish rivals Breaux Bridge and St. Martinville in The ’Ville Friday. Cecilia jumps into the district race with a trip to Abbeville after an impressive win over Class 5A Lafayette last week. Both teams are coming off tough losses with The ’Ville coming up short in a shoot out with Ellender and Breaux Bridge falling to unbeaten Carencro. With sophomore Markavon Williams getting his first start at quarterback for St. Martinville, the Tigers struggled offensively, turning the ball over six times. Williams was intercepted five times although coach Vincent Derouen says three of the picks really weren’t his fault. Starter Jared Davis did not dress out for the Ellender game and Derouen says his family reports that Davis has been sick. “We’ll see if he’s here at practice today (Monday),” the coach added. Derouen said his staff knew the team would have trouble with Ellender’s passing attack and the Patriots piled up 331 yards and three touchdowns through the air. It’s widely acknowledged that Breaux Bridge’s pre-district schedule was one of the roughest in the area. The four teams The Bridge has lost to – Carencro, Teurlings, Rayne and Notre Dame – own a combined record of 18-2 at mid-season. The rugged run has left the Tigers with their worst start since 1996 when the team lost its first eight games before finishing 1-9. Junior tailback Malik LeBlanc suffered a severe leg injury against Carencro and may miss the rest of the season. Sophomore QB Cole Mouton replaced junior Julian Leon early in last Friday’s game and finished with 12 completions on 18 tosses for 104 yards. “We’ve been giving them equal reps in practice and had planned to use Cole more as the season progresses,” Martin said Monday. Looking ahead to St. Martinville Martin sees a very physical team with a supply of good athletes. The Bulldogs bounced back from losses to Crowley and St. Louis with a solid 25-3 victory over the Lafayette Lions last week. Junior running back Devin Briscoe saw his first start since suffering a knee injury in pre-season practice and responded with 81 yards on a workhorse 17 carries. The Bulldog passing attack continues to hum, with senior QB Corey Williams hitting on 11-of-24 tosses without an interception for 168 yards and a touchdown. The Bulldog defense limited the Lions to an early field goal and Skains feels the unit has really been improving over the past several weeks. Abbeville starts district with a 1-4 record after picking up its first victory last week, a close 22-21 win over North Vermilion.